Behind every changed life is somebody who made it happen. None of the work we do would be possible without the generosity of our donors. 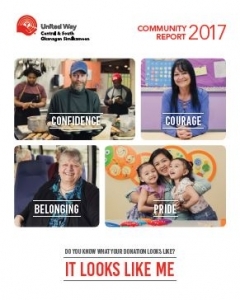 United Way’s Annual Reports show you how your donations go directly to our communities – where we live, work, learn and play. 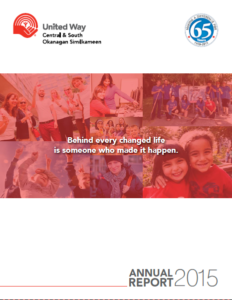 In April 2019, United Way Central and South Okanagan/Similkameen merged with United Way North Okanagan Columbia Shuswap to become United Way Southern Interior BC. The financials for both organizations are provided below. 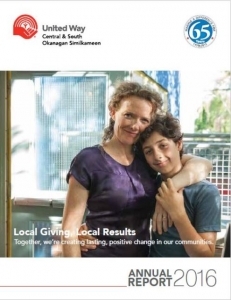 Help us create a better life for everyone in our communities.